New Orleans We have been lucky the last month. ACORN International has enjoyed the help of a smart and adventuresome young woman, Luba Batembergska, from Sofia, Bulgaria with wide interests in social justice, environment, education, and social welfare. We have tried to embed her deeply in various organizing field experiences to give her tools and techniques that would advance her work in various projects and campaigns when she returns home from this Professional Fellows program coordinated by the Great Lakes Consortium focusing on younger people from Eastern Europe. As her time runs down for the last ten days, my piece has been to meet with her several hours a day as her sounding board on various ideas about strategy and tactics. Recently, we spent a lot of time talking about community benefits and how to structure demands and negotiations around developments in Sofia and along the Black Sea. As a talking point, we have used the proposal offered by Google/Alphabet’s Sidewalk Labs for a huge project along the waterfront in Toronto. She spent some time looking at the Sidewalk Labs website and came in very excited about what she felt it offered. Not having read the Model Lab background, I was confused. I kept asking her where people fit into these various models. We ended up at the same dock after a half hour of dialogue, but for a long time we were two ships passing in the ocean which was rare for our conversations. She sent me a link, and I read it in order to get a better grip on what Sidewalk Labs was selling, and how my organizing colleague might have found it so seductive. Boiled down to its essence their argument is that the secret to building a better city is data. 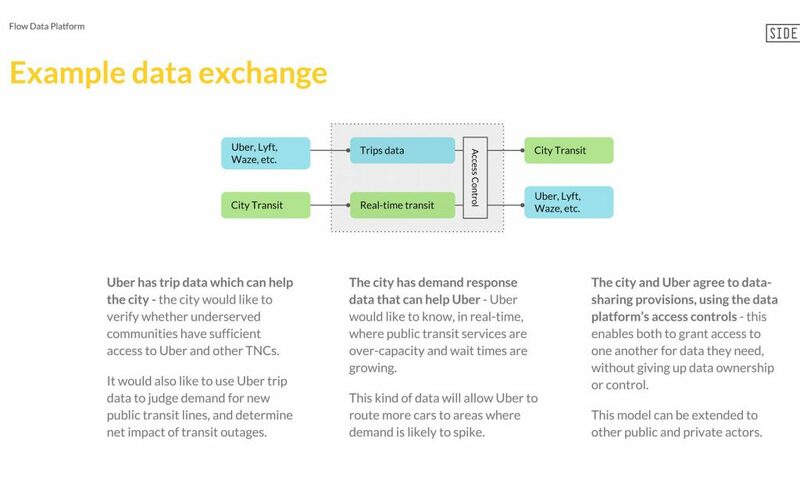 They believe for some problems where they cannot test differing realities and make conclusions that they can adapt anonymous cellphone data to determine how people move and then build models or simulations that could be used by transit planners for example. In another section they went to some length on “population synthesizers” that were basically a ways and means to slice population characteristics for planning purposes and then link them to Bayesian Networks, which is a mathematical construct that is critical to a lot of algorithm construction. What we were missing became clear as I read. I kept asking Luba where people intersected the process, and she kept answering that they could interact with the models. I had countered that an assumption that this would all be internet interactive left out most of our low and moderate income constituency, and she kept responding that the levels of the simulations were designed for input. Indeed, people were at the heart of the Sidewalk Lab population synthesizers, but they weren’t real people, they were real data points. The notion that there might be real people acting collectively about their interests would have been an outlier point in the mathematics. The notion that there are systemic inequities that permeate the needs and demands for public services doesn’t really synthesize. The Sidewalk argument is an advertisement for the speed and delivery of big data, which is no doubt invaluable, but there’s a hole in the middle where real people fit and where they seem somewhat clueless. Here’s an example: “We believe convex optimization gives analysts a more logical framework to make trade-offs among competing “truths”…” I’m pretty sure we would be classified as advocating a competing truth. There is also no concept in the “optimization” for power. Describing another tool that is not quite ready for prime time called the Doppelganger they say it “will create a synthetic population that matches each of the marginals perfectly. If the marginals are not internally consistent, which is almost always the case in practice, the user must tell Doppelgänger which of the marginals are more or less important.” I’m pretty sure that we – and our concerns – would be a “marginals,” and unless we are well organized and hitting our fists on the door, the so-called “user” that decides what marginal concern is “more or less important” is not going to be us or anyone factoring in our issues importantly. Elsewhere in the “models” section, Sidewalk Lab lets it slip that much depends on the “assumptions” that input into the models. It’s probably that same user, a software engineer or perhaps an urban planner, who will be making them. Widgets unite! We have nothing to lose but our cities if we don’t organize now as people! & The Urban Renewal Project’s Hide. Hope for Cities or Just Developers? New Orleans It seems like cities are starting to get more attention, and if that’s true, that’s a good thing, but reading a recent special feature on cities, it’s not something without contradictions and concerns. This is true especially if you try to figure out where low-and-moderate income families and minorities fit into the coming profiles of the future. In some ways they just are not in the picture at least the one offered in the main from the New York Times, and this despite a recent feature in the same paper that talked flatly of the almost irreversible “whitening” of San Francisco where high housing costs and extreme inequality is leeching out the African-American community. Part of the premise of some of the new hope for cities from the pundits and professors is the world seen dimly through the grim view from the suburbs. There is finally a consensus that cities are “safer,” which means they are ready to come back in again. Once again the question of “safer” for whom is unavoidable, but facts are facts, so we’ll ignore the bias for a moment. The same lens from the Trumpistas has all of us drowning in crime and gore in the urban space without being accompanied by the full disclosure that many of the zealots have done little more than drive quickly through cities for years, do their business, and leave before nightfall. Unfortunately, reading the various pieces it was hard to feel comfortable about these new twists on urban revival. First of course there are huge, glaring omissions already mentioned, but followed quickly behind is the realization that the dominant perspective is not people-oriented really, but more developer promotions. The examples of innovations are telling. 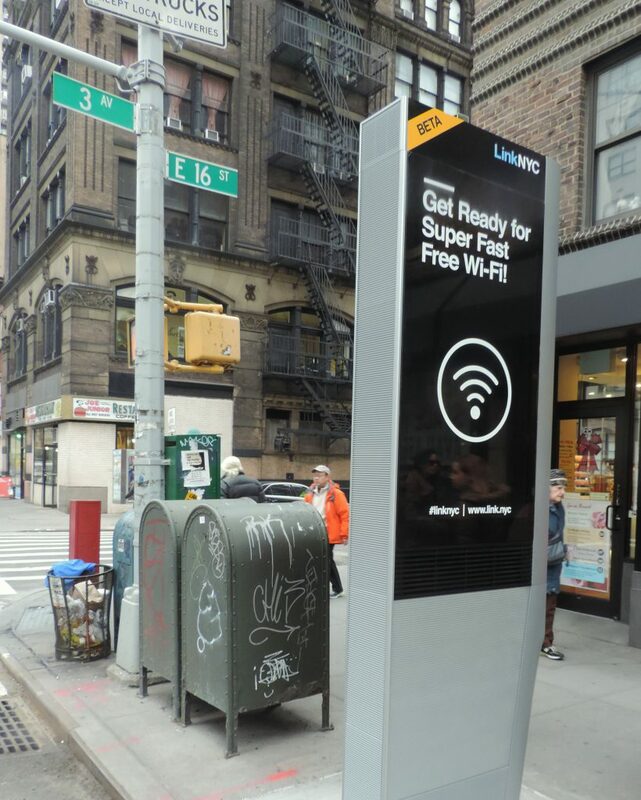 There’s LinkNYC which would replace all remaining public telephone booths in New York City with wifi enabled terminals that can do tricks like recharge smartphones faster. Not surprisingly, this is paid for by tech companies and digital ads that will be on the booths, an expropriation of a public utility, and of course forget about lower income folks who still need those pay phones. There’s an apartment & condo complex in Austin and billionaire-driven building developments in Seattle that are at best ho-hum, but here are passed off as part of “remaking the modern cities.” There’s a story of Reno hoping to be Seattle and Kansas City about to have a “the largest co-working space in the world,” which is neoliberal, developer speak for building a monument to the gig economy and the decline of fulltime, firm-based employment. The exceptions prove the rule in this parallax view of urban development and the modern dilemmas of the city. There is a piece on the rightly well-publicized and highly touted repurposing of a bank on Chicago’s South Side by Theaster Gates, Jr. in a celebration of black culture and an indictment of racism in the 97% African-American community there. There is also a discussion with an architect of the development of public space, which cannot paper over his conclusion that there is little and less being done. The unaddressed problem is inescapable: where are the people – all the people – and what is being done to make a better place in the city for them and not just for young, white professionals and tech workers so many of these cities desire.